National Cattlemen’s Beef Association President-Elect Marty Smith, a cattle producer from Wacahoota, Florida, represented the nation’s cattle industry at a Presidential press conference at the White House on Friday, April 12th. 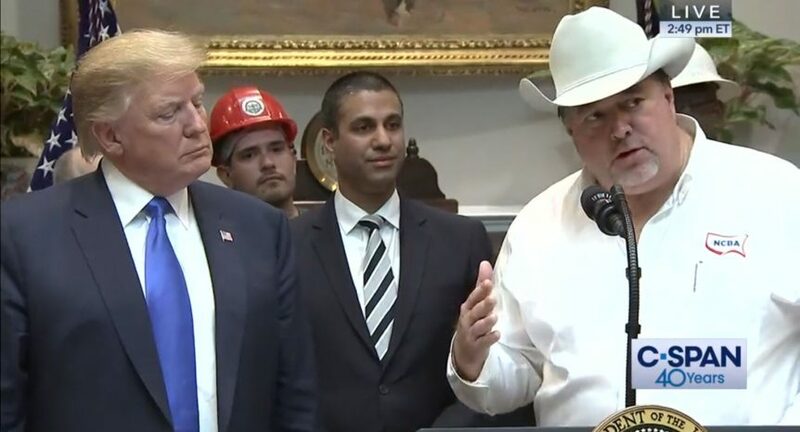 The purpose of the event was for the President to announce his plans for nationwide 5G service, with an emphasis on rural America. You can find out from the video how the Florida Cattleman handled things when he stepped up to the Presidential podium. Their exchange appears at about the 15-minute mark.